Our cross-border solution is faster and more affordable than you think. China’s eCommerce market is enjoying dramatic growth. It is the world’s largest market already, with continued strong growth prospects. If you are a brand manufacturer or a commercial enterprise, FIEGE gives you the chance to tap this market. Cross-border eCommerce is a growth driver in China’s online trade. For you, this translates to online retailing straight from Europe to your Chinese end consumers. 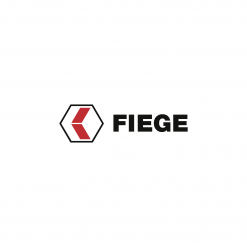 FIEGE ships from European warehouses to customers who are 9000 km away in a mere 4 to 8 days. Make our experience your advantage. Cross-border eCommerce fulfills the quest for quality of your Chinese clientele through the commitment to quality inherent in European products. The certainty of obtaining an original of European dependability and durability is nowadays the reason why many Chinese buy directly in the country of the manufacturer. “The Chinese online market moves fast and to a different tune”, is what our FIEGE eCommerce experts in Shanghai say. In cooperation with our European and Asian business units, we customise the most reasonable sales channels on the basis of our best practice experience, using platforms such as Tmall and JD.com, but also a stand-alone online shop.